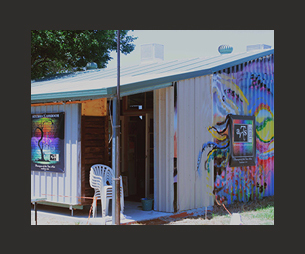 Arts Tree was established in 2012, and operates a dedicated art studio/classroom at 248 Preston Road, Wynnum West. It is a continually developing artistic visualisation, and the brainchild of life, love and business partners Graham Cox and De Gillett. 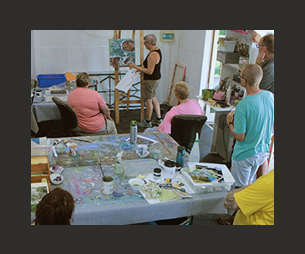 At Arts Tree, we work with you to unlock your own voice as an artist; filling your arsenal of artistic tools with everything you must master in order to create beautiful, expressive, meaningful works of art. We believe in the transformative power of making art in your life, and that fluency in drawing, mark-making and colour can not only bring more splendour and meaning into this world, it can also assist your wellbeing and happiness. Graham Cox, Creative Director, administrator and owner of Arts Tree will be your first point of contact. 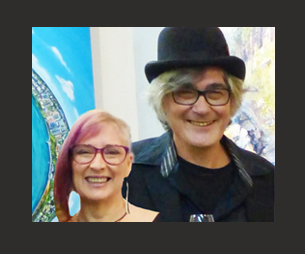 With 15 years’ experience in art departments of film and television productions and many friends in the arts community, Graham knows his way around a studio, and is committed to bringing an ethical art tuition business to Brisbane. Graham holds a Bachelor of Laws (LLB) and was admitted to the Supreme Court of Queensland Registry as a lawyer in 2011. As a man with a creative soul, however, he prefers to follow his passion for the fine arts rather than pursue a legal career. Professionalism is the essential ingredient in all Arts Tree productions, and with Graham’s experience in management, lighting, set dressing and event management you can depend on a positive artistic experience in learning to paint and draw with Arts Tree. De Gillett is Arts Tree’s foundation tutor, in acrylics, inks and oils. De is a practicing professional artist and fine arts tutor with 20 years’ experience in teaching painting, drawing and sculpture across a wide range of media. De holds a Bachelor of Fine Arts from Queensland College of Art (2012). Now that she has graduated as an Honours College Scholar De is concentrating on bringing the joy of making art to the wider world as a tutor for Arts Tree. De’s lessons are exciting, fun, and are guaranteed to push you out of bad habits and onwards into artistic excellence. De works in a wide range of styles from the photo-realistic to the wild and impetuous and everywhere in between — portraiture, flight, figures, landscape and more. Her wilder work has been described as ‘recklessly sumptuous’ and she specialises in busting students out of their tight and over-controlled beginnings to create beautiful, painterly, exciting works without ever ignoring the importance of learning and practicing good drawing technique. We are pleased to welcome the vivacious Ali Gillett to the Arts Tree Studio/Classroom. As De Gillett’s daughter, Ali has grown up in a house where making artwork was second nature, and she has been painting and drawing from her earliest days. 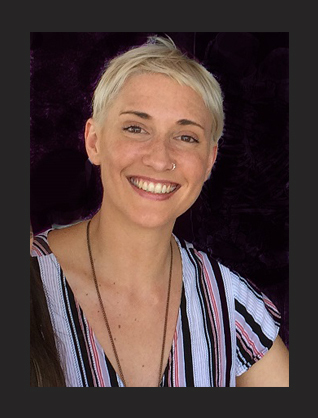 Graduating with high distinction from the Royal Melbourne Institute of Technology (RMIT) with a Bachelor of Fine Art in 2014, Ali Gillett now turns her attention to passing on her knowledge of drawing and painting to students at Arts Tree. During 2019, Ali will join De in co-tutoring classes and leading her own classes and workshops. Drawing from her mother’s teaching experience and applying her own expertise of making paintings, street art, murals, and graphic drawings, we are certain Ali’s stimulating and enjoyable style will make successful art-making available to students at every level of experience. Arts Tree aims to be an avenue for positive personal growth through creativity. Arts Tree provides goods and services that enable and nurture the fine art skills involved with making paintings. Arts Tree aims to enable an appropriate balance between primacy of concept and primacy of skill. Arts Tree as purveyors of the fine arts maintains a non-vocational arts education studio classroom. Arts Tree as purveyors of the fine arts produces Instructional DVD’s and Tools for Artists. Arts Tree as purveyors of the fine arts continues to develop its online presence. Arts Tree is committed to contributing to a robust, equitable and environmentally sustainable society.